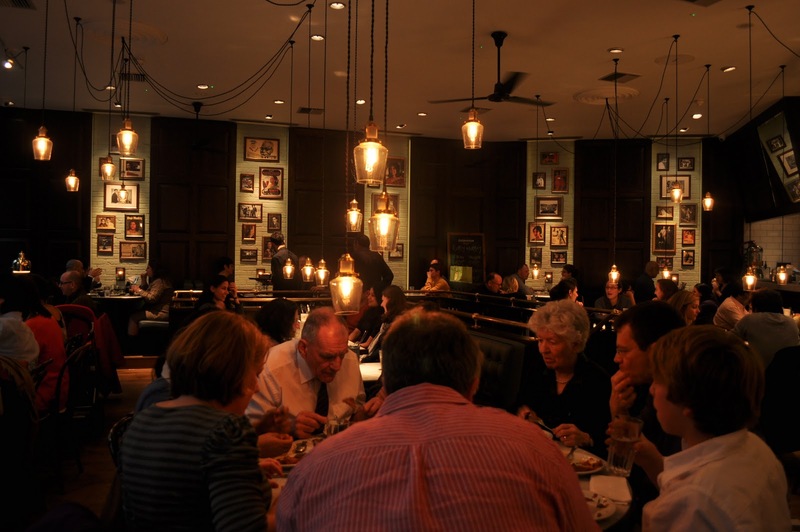 Opened in 2010, Dishoom brings the egalitarian style of Bombay’s old cafes to the heart of Theatreland. This elegant slice of authentic halal India, with its stylish design and tempting menu bring visitors from all walks of life. The original Bombay cafes were the talk of the city in the 1960s, with almost four hundred popping in a short time. 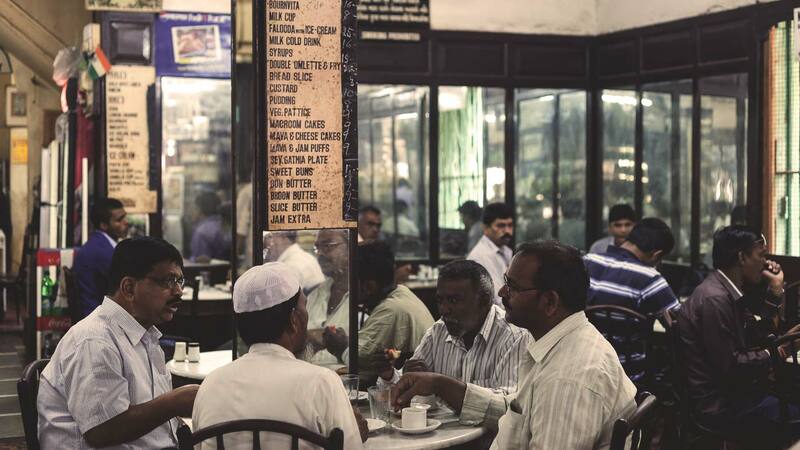 Unfortunately today, less than thirty remain, but with Dishoom drawing upon the legacy of these cafes and its menu paying tribute to the cuisine of Bombay, the memory won’t soon be forgotten. I’d heard a lot about this restaurant in passing, from university students to respected Muslim professionals, it seemed to be the only Indian restaurant worth visiting in central London. We booked a table a couple of days in advance, and it was lucky we did. As we approached the restaurant, we saw the queue snaked out of the door. First impression is always that if the people are willing to brave the cold to get a table is that this must be worth it! Luckily having the reservation meant we walked straight in. But don’t fret; there was a considerably large flask with complimentary tea for those who had to wait. Entering the restaurant, our senses were flooded. The smell of the fresh fragrant spices from the open kitchen mixed with the loud atmosphere of the diners gave the 150-capacity space a real sense of Bombay. We were escorted to our table through the wide arches and past the mahogany walls that reflected the light of the low-hung lanterns. 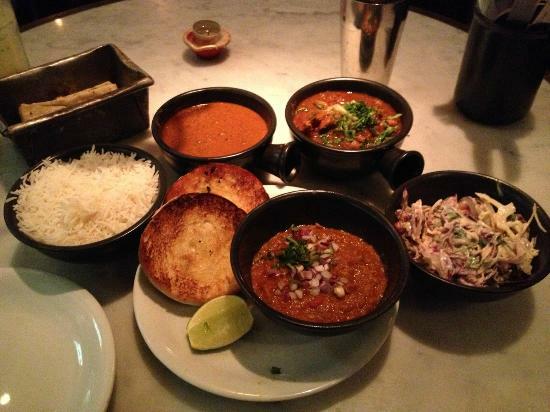 It was at this moment we realized why Dishoom was so highly regarded. It wasn’t just another establishment serving Indian food; it was a full Indian experience with a modern London twist. The chicken and lamb on the ‘All-day’ menu is fully halal certified* so you can order to your hearts content. 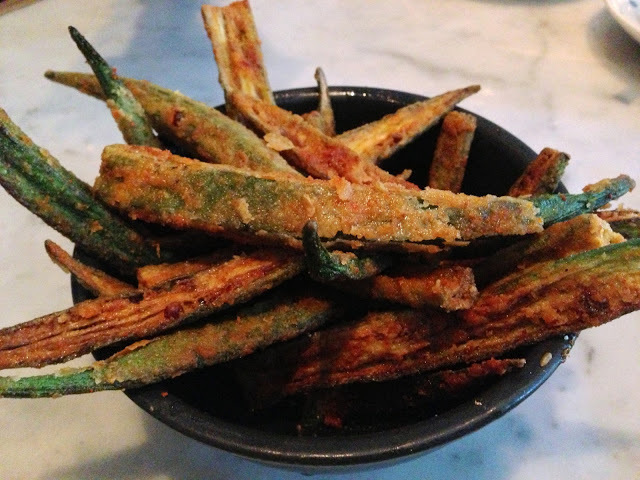 We started with the okra fries and prawn koliwada, which came with delightful tamarind and date chutney. Both were lightly battered, with crispy exteriors and a beautifully juicy inside. It was the perfect start to an already divine experience. Turning towards the main course, the paneer tikka while spiced did not lose its delicate flavours, which I found very impressive. However it was the crumbly texture, like goat cheese rather than one of a mozzarella that was quite delightful and a change of what I’m used to. The spicy lamb chops consisted of blackened, grilled lamb marinated overnight – juicy and moist, the complexity of spice and flavour is something to be admired. The star of the show however, had to be the black daal. I can safely say I don’t think I’ll ever have another daal that has the same balanced flavours. 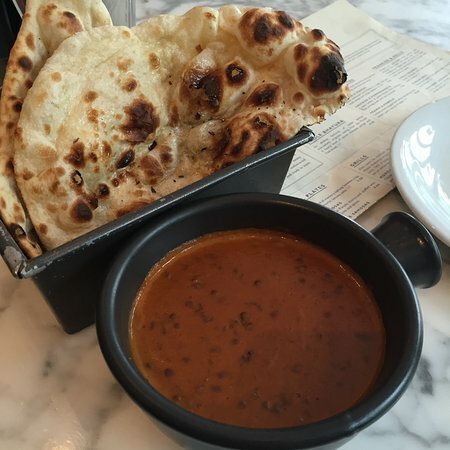 All main dishes have to be ordered with a side of naan or rice – one portion being enough for two people. This was all followed with a delightful and creamy lassi made with yoghurt and mango puree, this heaven sent drink will seemingly wash away all of your problems (and the spice from your tongue!). One thing to note about the drinks is that there is a bar with alcohol available so if you want to avoid proximity Dishoom, probably isn’t the place for you. They do however have lovely virgin drinks to keep you refreshed in-between courses. In total we ordered 2 starters, 3 mains, one basmati rice, two garlic naans and two mango lassi’s for the incredible price of £25pp. I have to say I was rather happy for essentially a 3-course meal (we count the lassi as dessert!) of this quality in central London at this price. For what seems like a perpetually busy restaurant, the service accompanied the high quality of the cooking, with attentive and friendly staff that checked-in regularly without being to pushy. We must have ordered extra garlic naan and extra mains a total of three times, but every single time we were served promptly and with a smile. I also noticed they offer ‘one plate meals for little Dishoom-wallas’, which was a lovely touch. Keep the children happy and they’ll be coming back for years! Dishoom truly does what it says on the tin, an authentic Bombay cafe that has managed to bring not only the taste, but also the ambience of the sub-continent to the streets of London.Fresh tasty food, fully halal-certified, friendly staff and beautiful décor, I believe this restaurant will have queues out of the door for the foreseeable future. One thing to note however is that this is not a completely halal establishment; there is a breakfast menu that does consist of some non-halal items (bacon and sausage) as well as a bar and drinks menu that contains alcoholic drinks. * ‘All our lamb and chicken carries the Red Tractor certification. 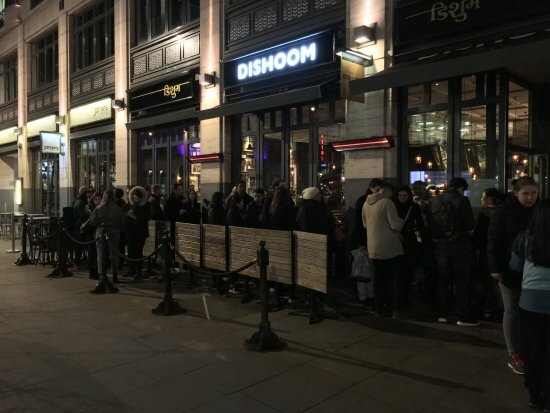 Our lamb and chicken are Halal, and the animals have been humanely stunned before slaughter.’ – Dishoom official website.